That very morning, however, Elizabeth's future is jeopardized by her father's untimely accident. With Mr. Bennet unconscious and surrounded by concerned neighbors, Mr. Collins presses his suit. Elizabeth's mother frantically demands her acceptance to secure the family's welfare. With so many witnesses to his proposal and everyone expecting her to make a practical choice, Elizabeth's reputation hangs in the balance. Without her father to defend her refusal of Mr. Collins, there is no one to speak up for her...except the last man in the world she would ever marry. I loved this book. It was new to me. And I really enjoyed the narrator's way of telling. It felt like I was part of it. 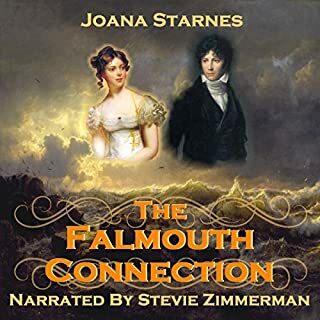 If you like Jane Austen fanfic and what if stories this is a book I highly recommend. This story was fun, well written, and moved along at a good pace, most of the time , but was a tad slow a points. Stevie Zimmerman did an excellent job narrating the story. Her character's voices are distinctive and clear making you feel as if you were watching the scenes unfold. I recommend this story for readers of JAFF. 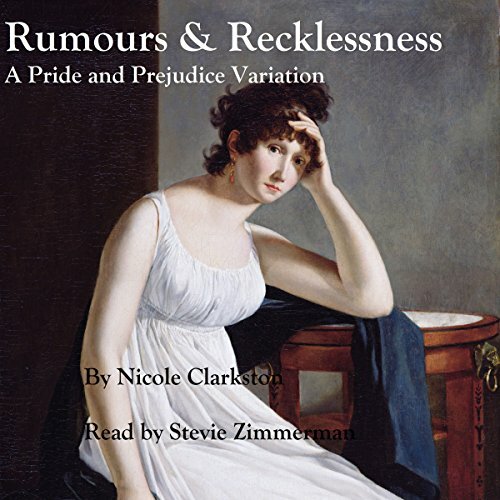 Where does Rumours & Recklessness rank among all the audiobooks you’ve listened to so far? One of the best. Well written, fun, interesting, and superbly read by Stevie Zimmerman. Ordinarily I would say Lizzie of course who is even spunkier in this telling than in the original. But listening to the audiobook there are so many fun characterizations it's really hard to choose. Many of hers to the extent that I now seek them out. This is one of her best because of her command of the different characters, types and accents. Not an extreme reaction but I was surprised how quickly and easily the quite long book went. Well worth the listen. If you are a Jane Austen purist you will find much to admire in this retelling. You might wonder why the story needs retelling at all, and it doesn't really, but unlike some spinoffs this one feels really authentic and respectful without being posed or old fashioned in its writing. It's just a different perspective on some beloved characters. Wonderful characterizations & great story! 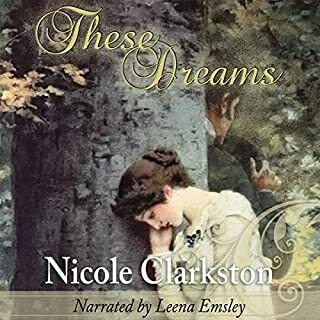 Another great story from Nicole Clarkston, and the narration by Stevie Zimmerman is so very well done! I totally cracked up hearing her rendition of Lady Catherine in particular. Terrific job!!! The performance was wonderful. I was listening to the various characters not wanting to stop. The plot was well thought out and kept my attention. 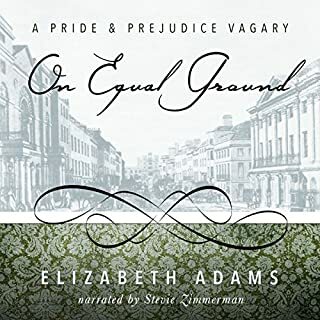 This is one of the better stories about Elizabeth and Darcy finding love. I thoroughly enjoyed this book- the only subpar quality was the audio. The performance was great but the sound quality was iffy. Not enough to ruin the experience though. Story had promise, but Lizzy's not that dizzy! I really loved the concept of this book. The plot line was well thought out, but I found Elizabeth to be inattentive, which she is not. She made many mistakes in judgment she shouldn't have if she had stayed true to her character and listened attentively. 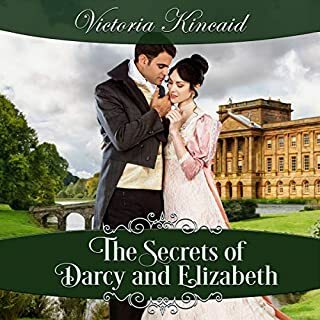 For example, in the case of her jumping to the conclusion that her father was economizing because Darcy made him buy Wickham's debts, was totally out of character for Elizabeth. Her father had plainly said that all he did was stand around while the other men did the work. The epilogue was somewhat disjointed, and did not flow well. It did wrap up all the loose ends and stayed true to J.A. but it felt hurried with way too much information to be imparted for an epilogue. This was the best variation on Pride and Prejudice I ever heard or read! The narrator was perfect and so was the story! Enjoyed the book BUT a little drawn out in places! The humor in this story was spot on and I found myself chuckling quite a bit. 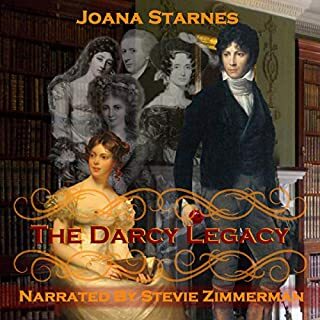 Got a bit drawn out during the beginning of the book when Lizzy found Darcy to be proud and arrogant, but when we got passed that the book took on a great pace! Stevie was fantastic as always ! Well worth the price of admission! A little tangled toward the middle and end, but still a very good variation of one of my very favorite books, Pride and Prejudice. This starts after the disastrous Netherton Ball. Instead of Bingley and Darcy leaving for London, they stay in the neighborhood because Mr. Bennett falls from his horse and the sickening Parson Collins tries to take over Longbourne. Darcy can not allow Collins to have Elizabeth and he intervenes. Other things involving all the P&P characters, but alll ends well with the big wedding. Quite satisfying. Narrator was right for the book. Pretty story and intriguing new angle. Deplorable use of the word drug - why didn't editors do something about that?